Are you thinking about having you documents digitised? 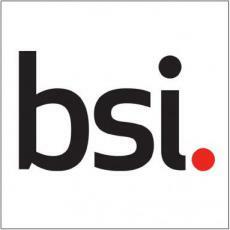 If you are, be sure that the scanning company you choose is BS 10008 accredited. Don’t worry we are here to answer all of your questions! So other than a load of letters and numbers what is BS 10008? BS 10008 is the British Standard that outlines best practice for the electronic scanning, storage, transfer and management of electronic data. All elements must meet the requirements of this standard to be compliant. What issues are covered in BS 10008 standard? When investing money and time in having your items digitised be sure to check that the scanning processes and services you choose are BS 10008 accredited. If they are not then your files might not be scanned to a high quality and this could be detrimental to your business. DataSpace are BS 10008 compliant so scanning services completed by DataSpace is the best quality they can be. BS 10008 is evidence that the standard of the scanning of your items will be to such a quality that should your documentation be required as legal evidence in a court of law the electronic copy of that information authenticates and is and exact replication of the physical file. BS 10008 acts as evidence that the compliant company is continually working on improving its implementation and operation of electronic management systems and is regularly audited by British Standards to ensure they are doing all they can do to improve. By scanning this way it also gives the client the ability to have their documents securely destroyed*. Whatever your Document Management requirements might be DataSpace can help, call DataSpace today on 0800 028 8956 for details on how our BS 10008 compliant scanning solutions can benefit you and your organisation today! *Depending on Business Sector and retention regulations and schedules.